This member of our collection is much appreciated by owners of a lakefront or waterfront lot. Because of the several rooms which offer a view of the scenery, this plan is especially well suited to this kind of scenery. Inside, whether in the kitchen, dining room, living room or master suite the panoramic view is visible throughout the entire main level which is what adds to the unique appeal of the interior spaces in this home. Special features of this plan include an abundantly fenestration kitchen with its central island and pantry and the large walk-in closet in the master suite with its private bathroom. A shower room is also available for guests and family members as well as a laundry room. 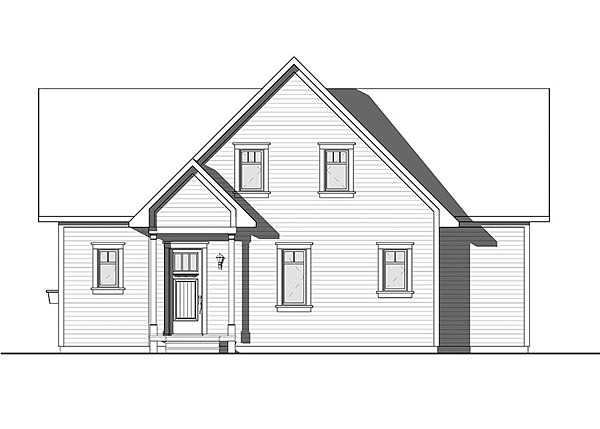 Add to the preceding features a second floor with three secondary bedrooms along with a full bathroom. 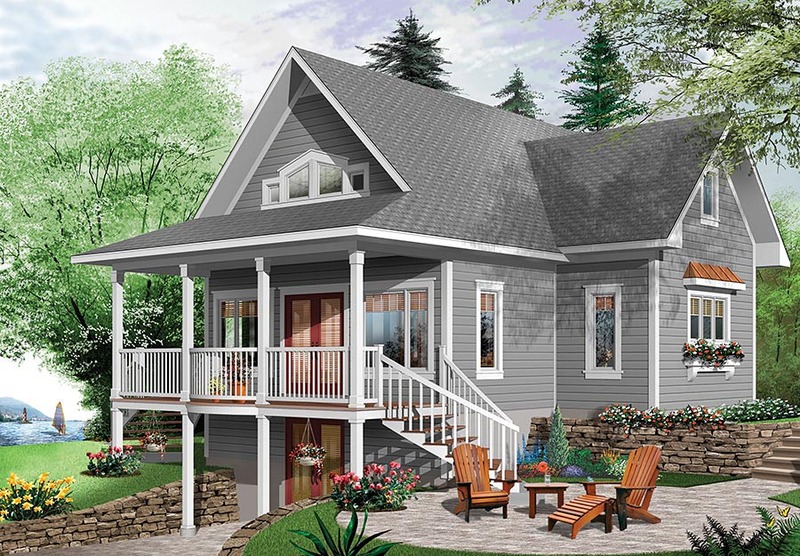 Outside, a large covered porch insures the comfort of the occupants both inside and out. If insects are a problem, it would be easy to screen in the porch to keep the bugs out...How’s that for adaptable!?! 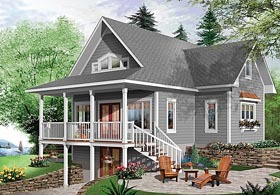 Question: Is there an exposed stair case and top floor railing to below similar to plan 2939 (fhp-65001)? Question: Does this have 9' ceilings and if not can that be added where appropriate?